The DCH273P2 20V Max XR Brushless 1in. 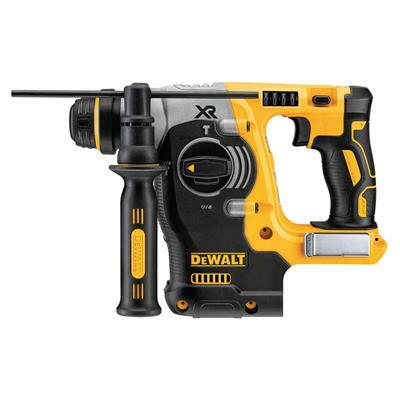 Rotary Hammer is a high-performance drill that is powered by a DEWALT brushless motor and a durable German engineered mechanism that delivers 2.1 joules of impact energy. Coupled with its light weight design and SHOCKS Active Vibration Control technology, this hammer is ideal when used in overhead applications. The DCH273P2 is Dust Extraction ready for the D25303DH.